Selection of 140 photographs from a galaxy of portraits found in archive is a collection of snapshots copying private history of one Slovak family. Working with a moment of memory, all faces of people have been cut off from the pictures. 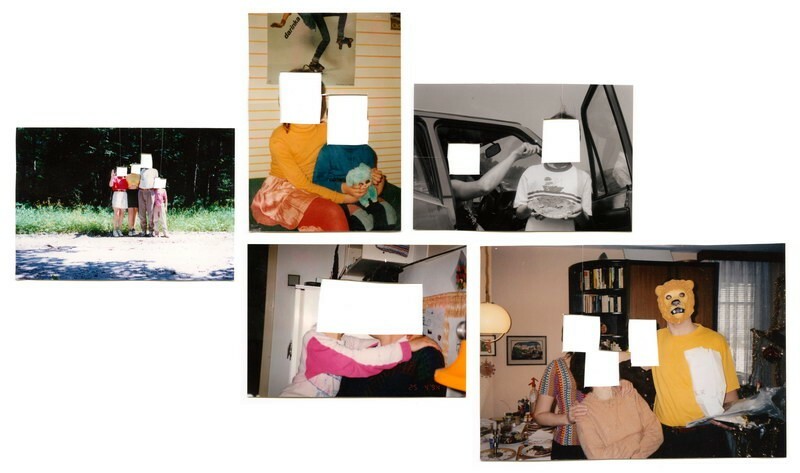 This radical and irritating gesture brings something untold; these typical family portraits of very familiar situations remain anonymous but enable us to investigate in our own memories of celebrations, trips, holidays, family sessions and other occasions.